PROOF THAT some of Winston Churchill’s most famous radio speeches of the war were delivered by a stand-in has emerged with the discovery of a 78rpm record. The revelation ends years of controversy over claims – repeatedly denied – that an actor had been officially asked to impersonate the Prime Minister on air. The record makes it clear for the first time that Norman Shelley’s voice was used to broadcast some of the most important words in modern British history – including ‘We shall fight them on the beaches’. It is marked ‘BBC, Churchill: Speech. Artist Norman Shelley’ and stamped ‘September 7, 1942’. The recording will also help to sort out the confusion about the authenticity of many of the Churchill tapes in circulation. Shelley, a well-known radio actor who was Colonel Danby on The Archers before his death in 1980, first claimed in the late Seventies that the British Council had confidentially asked him to stand in for Churchill. His allegation outraged many commentators. 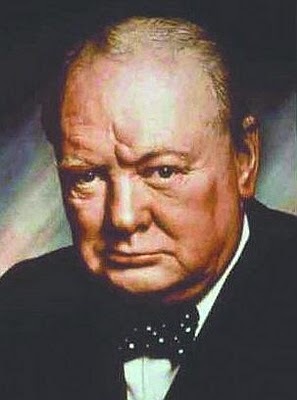 Biographers and historians have argued ever since about whether some of the key morale-boosting speeches of the era – including the ‘We shall fight them on the beaches’ Dunkirk speech of 4 June 1940 and the ‘Their finest hour’ speech of 18 June in the same year – could have been made by an actor. Both speeches were originally delivered by Churchill in the House of Commons which, at that time, was not wired for sound recording. The power of these broadcasts is often credited with helping the Allied forces to win the war. Aside from Churchill’s undoubted gifts as a speech-writer, the impact of his confident and idiosyncratic delivery is held responsible by many for sustaining the ‘Blitz spirit’ on the Home Front. But, according to Shelley, Churchill was too busy to come into a studio to record his words and so agreed that, as long as he had final approval of the voice, an actor might take his place. Later, the provenance of recordings of these speeches was further muddled by the fact that Churchill agreed to record some of his most memorable lines for the BBC archives after the war was over. Last week the late actor’s son, Anthony Shelley, found the crucial record among his father’s possessions in his home near Chepstow, South Wales. He had always believed his father’s story, he told The Observer but is pleased to see him vindicated with some hard evidence. ‘I knew my father was not the sort to have been pulling people’s legs about something like this,’ he said. This week Shelley will take the record for specialist analysis in the Devon recording studio of Robert Parker, an Australian sound expert. Together they hope to establish once and for all which of the recordings are genuine. Shelley told reporters in the Seventies that Churchill had even complimented him on getting his teeth right. ‘My father said he had taken his own false teeth out for the part,’ remembered Anthony, who is a conductor. He said that at the height of the war the British Council had asked his father to impersonate Churchill for broadcasts in America. ‘To say that Churchill was busy at the time would have been the understatement of the century,’ Anthony Shelley told The Observer. ‘My father would certainly not have asked for money. He did it secretly for Winston, who was his great hero. I don’t remember ever hearing the recordings, although I suppose I may have when I was a boy. My father kept it very quiet for a long while and then was rather embarrassed by all the fuss.’ This, he suggests, is why his father made no further attempt to prove his point. Historian David Irving, author of Churchill’s War, was unable to verify Shelley’s story but found that the parliamentary speeches were the only ones for which the BBC had no contract with Churchill. The Churchill Archive Centre in Cambridge, however, has maintained that there is nothing to prove the late actor’s claim. Archivists there have argued that recordings of the speeches in question were made by Churchill after the war and then released by Decca as LPs in 1964. These are now sold on EMI’s Music For Pleasure and Argo cassette labels and have been used in many documentaries and films. After they were re-released in 1983, the BBC asked Decca to stop claiming they were all BBC recordings. The next year BBC sound archivists explained that the additional parliamentary speeches must have been made privately by Churchill at his Chartwell home in Kent in about 1950. In 1990 an American speech research group called Sensimetrics tested 20 of the speeches that Decca and EMI sell under Churchill’s name. The speech patterns on three recordings were found to be different. They were the disputed speeches originally made in Parliament in 1940: the Dunkirk speech, the ‘Finest Hour’ speech, and the one made on 13 May, when Churchill promised ‘blood, toil, tears and sweat’.